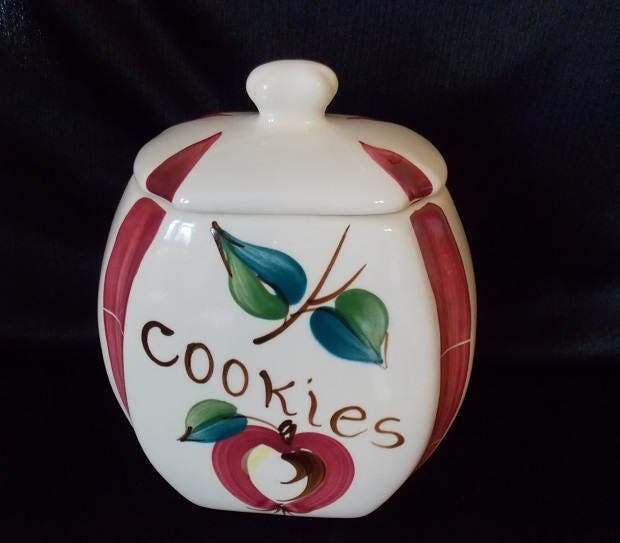 This hard-to find Purinton Pottery cookie jar features an overall white/cream with a hand painted single open apple and leaf design on the front of one side of the cookie jar. 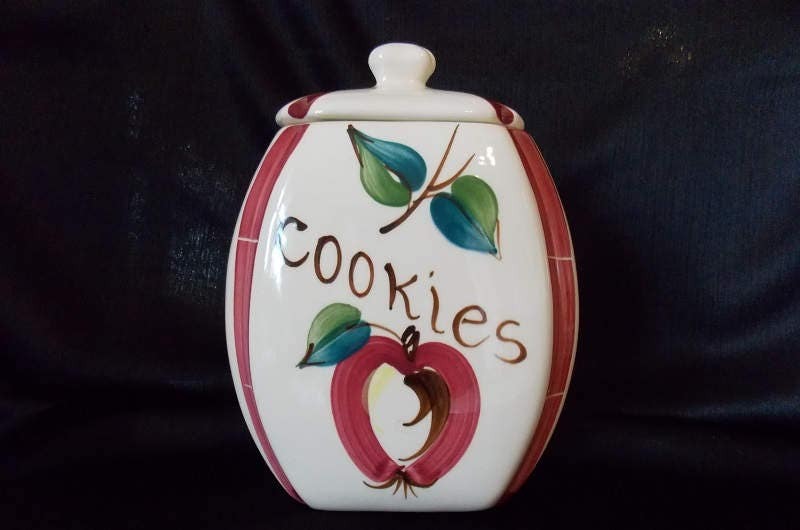 The word "COOKIE" is painted in brown and runs diagonal separating the apple and leaf pattern. There are two red horizontal lines at the corners of front panel which frames the open apple and and leaf design. 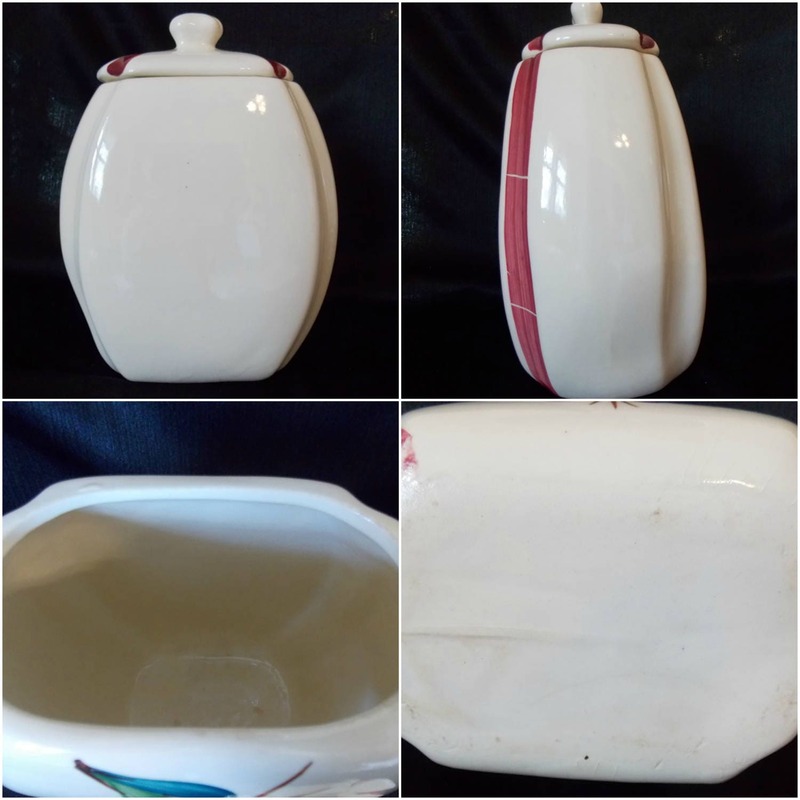 The back and bottom of the cookie jar is solid white/cream color. 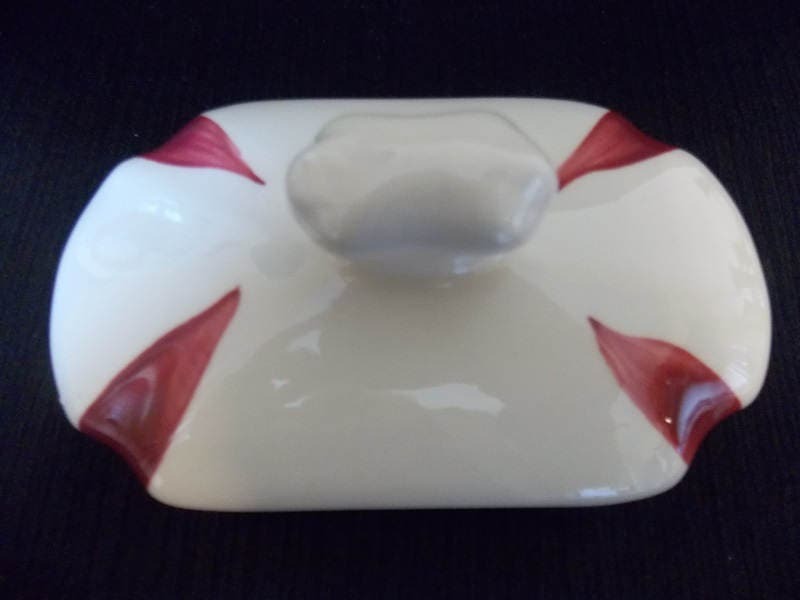 The lid has four red lines from each corner coming to a point at the nob handle. 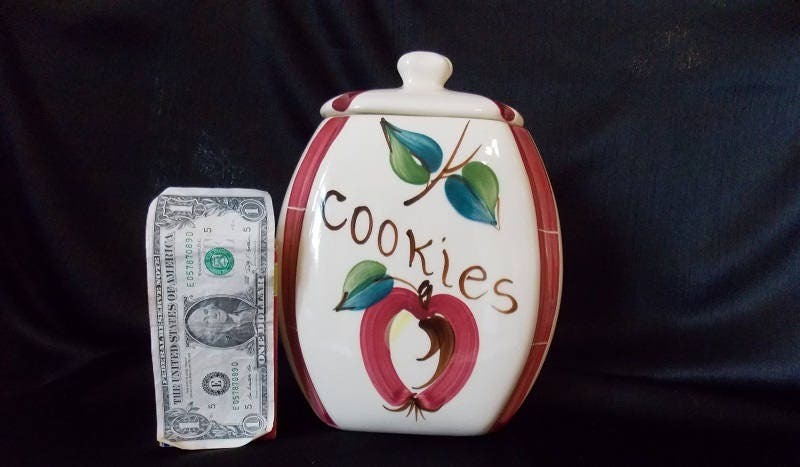 The cookie jar is unmarked.